As USB devices continue to grow in number and complexity, developers need their monitoring and analysis tools to keep pace. 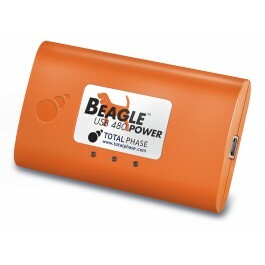 The Beagle™ USB 480 Power Protocol Analyzer enables your competitive edge with its unique, powerful features and a price that is a fraction of competing equipment. Detailed technical information about the Beagle USB 480 Power Protocol Analyzer - Ultimate Edition can be found in the User Manual. Using a Beagle USB Protocol Analyzer, How Do I Trigger and Capture Data? Which Beagle USB Protocol Analyzers Provide an External Trigger to Test a USB Response?